They rapped, they sang, they dropped the mic and did the Dougie. Perhaps no other president and first lady were more savvy about pop culture than the Obamas. From their television appearances to their viral videos, President Barack Obama and First Lady Michelle Obama used the power of entertainment to promote their causes from affordable healthcare to healthy living. As a result, the public got to experience a more personal side of the first family. President Obama showed he wasn't afraid to poke fun at himself when he read some mean tweets on Jimmy Kimmel's late night talk show. James Corden showed us how much fun it would be to have Michelle Obama along on a road trip when he invited her for a round of Carpool Karaoke on "The Late Late Show." The pair sang along to Beyonce, Stevie Wonder and Missy Elliott, with a little help from the rapper herself. 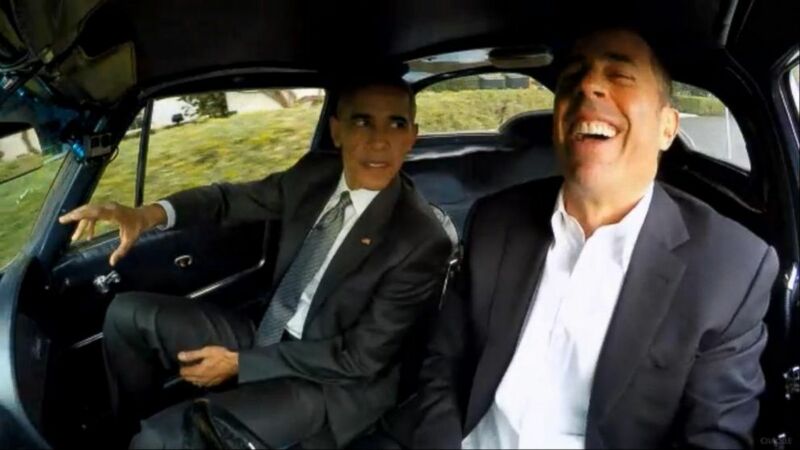 Just seeing President Obama behind the wheel of a 1963 Corvette Stingray was reason enough to watch his appearance on Jerry Seinfeld's web series, "Comedians in Cars Getting Coffee." Unfortunately, neither the president nor Seinfeld ever make it out of the White House gates. Don't challenge Michelle Obama to a dougie contest, because she'll win every time, as Jimmy Fallon discovered when he invited her to do a little "mom dancing" on "The Tonight Show." 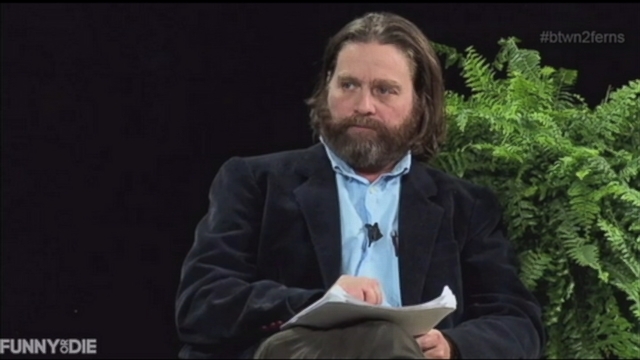 When President Obama made an appearance on Zach Galifianakis' "Funny or Die" webseries "Between Two Ferns" in 2014, we got to see another side of the President. He deadpans, trades insults and feigns irritation, all while managing to discuss his health care plan -- presumably the reason he agreed to appear in the first place. When Michelle Obama high-fived Amy Poehler's Lesley Knope on the sixth season finale of "Parks & Recreation," Twitter went crazy. At the 2015 White House Correspondents dinner last April, President Obama got an assist from his anger translator, Luther, played by Keegan-Michael Key from "Key & Peele." Though it seemed impossible to top that, for his final appearance in 2016, he skewered then presumptive Republican nominee Donald Trump before ending with an "Obama out" mic drop. The Obamas were not only participants in our pop culture, they had a knack for signaling the next big thing. Witness Lin-Manuel Miranda performing the first song from what would become the smash hit musical "Hamilton." After his mic-dropping performance at the White House Correspondents dinner, President Obama once again took the mic, this time accompanied by Jimmy Fallon and The Roots' Tariq to give a "slow jam" version of his eight years in office. Michelle Obama made several appearances on "The Ellen DeGeneres Show" during her eight years as first lady, challenging host Ellen DeGeneres to dance offs and push-up contests. On her final appearance, DeGeneres decided to help prepare Michelle for life outside the White House by taking her on a shopping trip to CVS.